Ms. Yingling Reads: MMGM- Fashion! Ordinary people who did extraordinary things and impacted the world in ways we can't even begin to fathom-- that's why I love biographies. Given that anyone can wear pretty much anything out in public these days (Can you imagine grown women going out in public back in the day wearing the classic black leotards people used to wear to dance classes? I just can't, yet that's basically what leggings are. *waves cane*), it's hard for young readers to understand that comfort for women's clothing was not really a concern. That Chanel changin the materials and silhouettes of clothing allowed women the freedom of movement to pursue pastimes that one could not in a corset and 20 pounds of underpinnings. 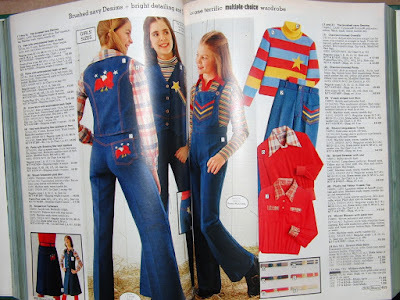 Fashion is a big concern of many middle school students, so this could be very interesting to many readers. The book is short, well-written, and addresses Chanel's deficiencies without defending or lingering on them, which I appreciated. Yes, we need to know that historical people weren't saints, but 12-year-olds don't need to know every sordid detail. It's also a nicely formatted tome, with pretty pages, lots of pictures, and a manageable amount of text and information. I'm excited to have this in my library next year. I'm going to blame my inability to dress myself with the slightest sense of currency to my childhood. Everything on this page looks... totally reasonable. Oh! Look at the nice bright colors! Vests! Turtlenecks! Jeans with rainbow trim! Really, it's a wonder that anyone my age gets out of the house at all. I want that skirt and vest combo in the inset in the worst way! 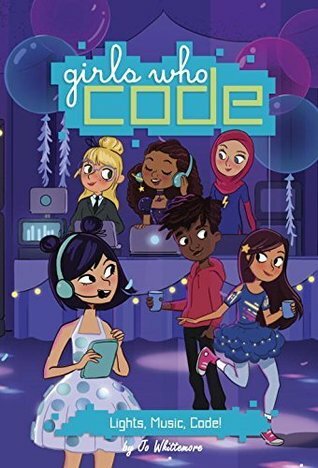 I love there are more books on coding, especially ones for girls. I'll be looking for this one. As for Coco Chanel, I don't think so. Thanks for all of your reviews this past week! But the other side of that is that, if you live long enough, those ridiculous fashions become respectable because they're "retro" or, even better, they're embraced as "vintage." I REALLY need to start the Girls Who Code series. I wasn't sure if these could be stand-alone books or if I need to start with book #1. But perhaps I should be safe and just start at the beginning. As always, I'm thankful for your great reviews. Have a wonderful reading week! I haven't read any MG books that include coding. School dance's have certainly changed. I'd enjoy Coco Chanel! Great reviews. I borrowed a book from a high school library when I had a girl do a project on Coco Channel. Sure wish this was around. I'm looking forward to introducing my granddaughter (who is named after Ada Lovelace) to this Girls Who Code series. Since she's only one, it might be a few years. 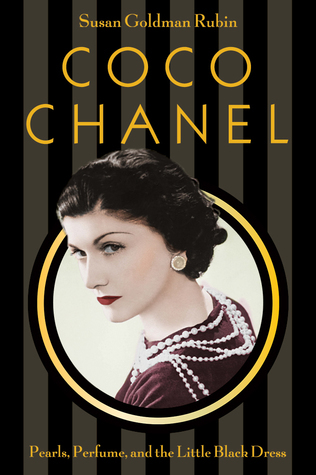 The Coco Chanel books sounds fascinating. Thanks for letting me know about it.